An Irish convict sentenced to hard labor in Australia escapes into the outback, and organizes a band of fellow escapees to fight a corrupt landlord. A TIMELESS STORY OF GREAT MUSIC-NOT A BIO BUT BETTER! This movie is one of my mothers favorites, a story not of the life of Victor Herbert but a fictionalized account of his impact on those who sang his works. Mary Martin shines and gives only a glimpse of the beautiful voice soon to be featured on Broadway. 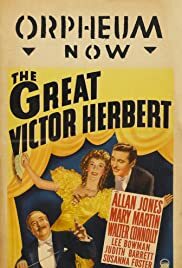 For those who doubt her range and depth of talent, her early work on Decca Records confirms the talent she possessed-how unfortunate for Hollywood that "The Great Victor Herbert" is one of the few times she was showcased in her proper element! The love story is a tearjerker with the old time happy ending engendered by the radiant Susanna Foster. I hope someday this movie is out on video so that future generations can see the talent only tapped in this movie!